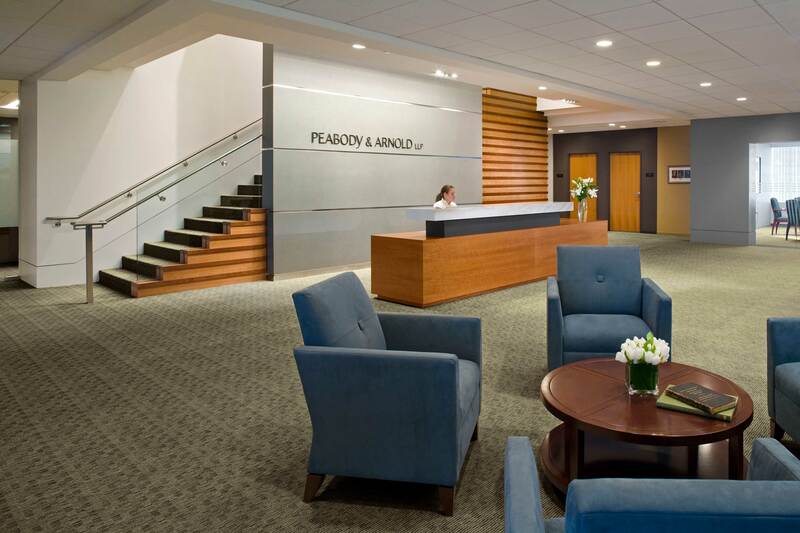 Peabody & Arnold sought out alternative sites in the downtown Boston market to house their corporate headquarters. The design was to reflect a new image the firm wanted to present. The team analyzed various opportunities with test fits for six locations. Based on this analysis, the firm decided to relocate their offices to the Federal Reserve Bank of Boston Tower. 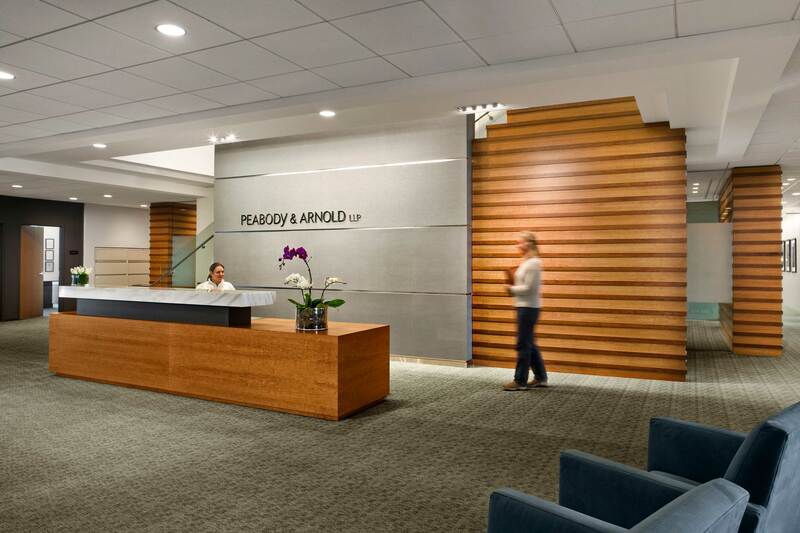 To reflect the contemporary image the firm wanted to convey, the design team stuck with clean lines, a mix of cool and warm colors and utilized wood paneling in modern form. 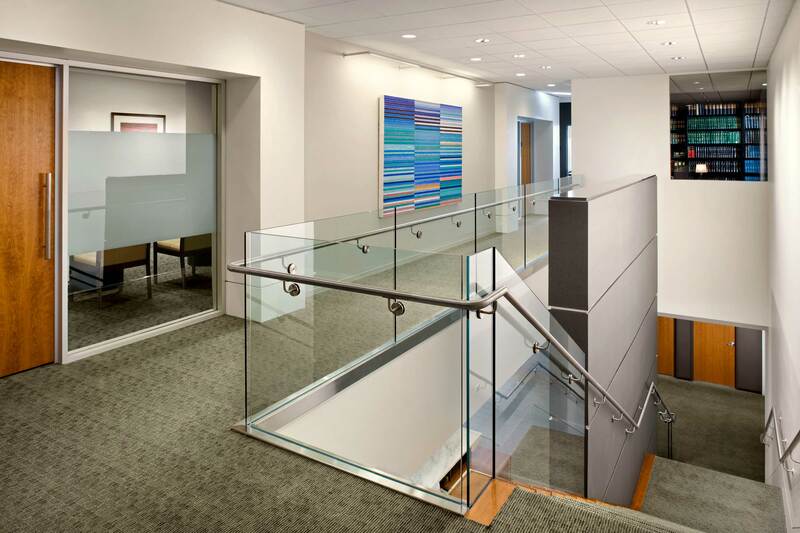 The completed project reflects the original design intent and includes offices for approximately 80 total staff, a conference center, staff cafe, library, and connecting stair between floors.